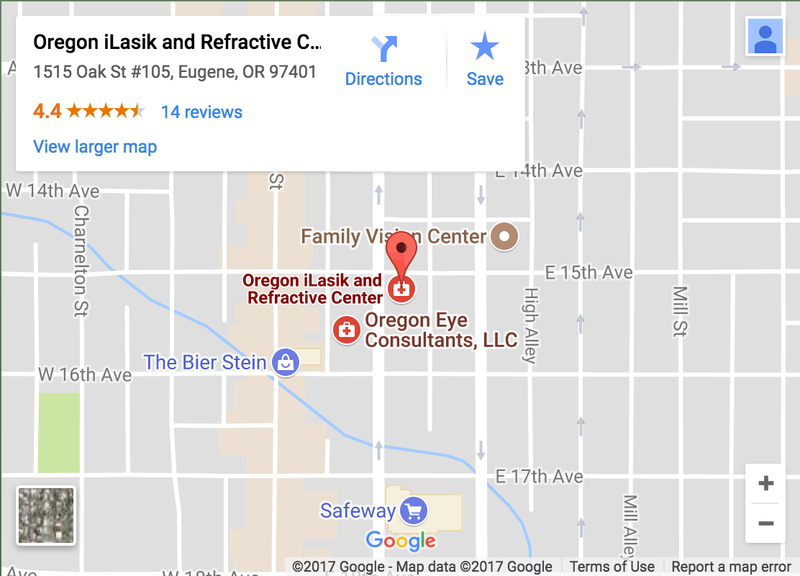 At Oregon iLasik and Refractive, we can reduce – and often eliminate – your dependence on eyeglasses and contact lenses. We’re the first doctors in the Eugene, Oregon area to use the latest iLASIK technology – which is a bladeless, safer and more accurate method for vision correction. The procedure is performed by Dr. John Haines, one of the most experienced eye surgeons in the Eugene area. The iLASIK procedure exclusively uses an advanced technology called the IntraLase™ Method. The IntraLase Method is a 100% blade-free approach to refractive surgery. The iLASIK technology delivers outstanding visual results with more patients achieving vision that is 20/20 or better when the IntraLase Method is used. Latest Technology – KAMRA Inlay! In the above video, Dr. Haines and Refractive Coordinator, Gina Widoff, explain the marvels of iLASIK’s latest technology – KAMRA Inlay! Call (541) 344-2010 to learn more. The follow up checks address my concerns and prove to me they all care about their work and my vision. I'm near to 20/10 amazed every morning able to see the world for the first time in nearly 50 years of living. If you're considering Lasik/Refractive treatment, contact them. Thank you, Gina, Danielle and Dr. Haines! You guys gave me an awesome experience and I knew I was in good hands. Massage before the surgery = completely relaxed. And I woke up seeing! No glasses, no contacts! Amazing. THANK YOU. I have had extremely poor vision since I was a child. A month ago, they calculated my vision as 20/count fingers I was so blind. I just came in for my 1 month check up after surgery, and my vision is now 20/10. The best it can possibly be! The doctor is awesome, and the staff is amazing! They take such good care of you! I recommend this place to anyone needing corrective vision. I have been wearing glasses and contacts for over 30 years. I just had the surgery done on both eyes, and I am SO grateful and appreciative to Dr. Haines and his staff. So very friendly and professional. Thank YOU ALL from the bottom of my heart for making this happen. NO more glasses or contacts!